You can fill out an application to receive notifications on available "Original The Conditioner (Leave-In Moisturizer)". 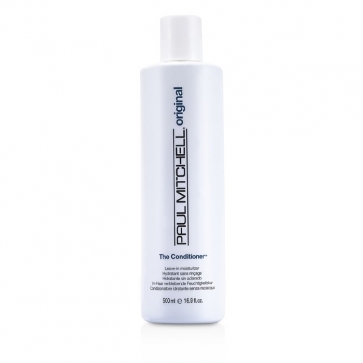 Water-based leave in-conditioner that is perfect for both skin & hair. Moisturizing conditioners & Hawaiian awapuhi balance moisture. Relieves dryness & enhances suppleness. Wheat derived conditioners smooth out surface & reduce static. Lavishes hair soft, manageable & beautiful. Excellent Leave In Conditioner. You don't need to use a lot of this for it to work. Doesn't weigh down my curls. Absolutely the best. I can´t stay without it, leaves the hair nice and smooth (I have curly hair, but works wonders with my mum too that has straight hair). Отличная легкая несмывайка!. Для моих кудрявых осветленных волос подошел отлично! Не склеивает, придает небольшой блеск, не путает, смягчает. Состав хороший - экстракты водорослей, жожоба, алоэ, ромашки и розмарина в начале списка ингредиентов. Не жирнит. Рекомендую. A little goes a long way. A good product for dry hair. Best leave-in Conditioner!. Great at detangling, moisturizing and keeping frizzes at bay.